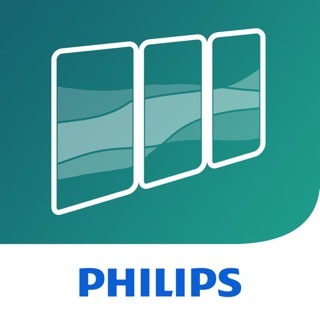 Just started using the Philips Hue products about a week ago. Overall I am impressed with their products. This app is decent, seems intuitive to use. There are 2 things I would really like to see from this app. 1. Be able to sort rooms. This would be very helpful. I would like my rooms to be listed in Alpha order without having to go in and redo all of them. 2. Be able to add sub-rooms (maybe a different name) to rooms. If I have light bulbs, the play bar, lamps, etc in the same room, I would like an easy to to control them with in that room without having to create separate rooms for each set of lights/devices I want to control in a room. Update #1: I figured out how to sort rooms, that is great, wasn’t very obvious to start, glad it is available. Since using the Philips Hue system for a couple weeks I realize some other things I would like to see. It would so nice to have a pool of available scenes, since there is a limit to the number of scenes and devices that can be on a hub. This really should not be that difficult to implement. Also another easy implementation would be to have a checkbox on your sensors, something along the lines on the Do not disturb that is in the labs. Except it really doesn’t need to be all that complex, simply if you have a scene on do not change it. Those are two very easy fixes that I would love to see. I’ll start off by saying that I’ve barely touched the Hue app in several years, since I’ve been able to control everything I need with HomeKit. However, I’d recalled that Hue has this nifty way to wake you up where it slowly adjusts lighting over time, instead of a jarring sound or something, and I wanted to try using this. The only way to do this is through the Hue app itself. I got even more excited when I learned that Hue started supporting Shortcuts, hoping that I’d be able to incorporate an action to set this type of alarm in the app in my shortcut for bedtime (I work varied shifts throughout the week, waking up as early as 5 and as late as 8am). There doesn’t appear to be a way to execute this shortcut without just telling Shortcuts to open the app, like I can do with the clock app. I’m not sure if this is a limitation of available actions developers are permitted to donate, or if this is just not something that had been considered, but I would love to see this! The only other downgrade is for how confusing it is to set up new lights and assign them to rooms. I’ve set up this stuff probably 50 times (moving several times as well as adding new accessories over the years) and I never remember that you name the light and then have to back all the way out and add it to a room. It seems kind of clunky. Hue Hyped this new version for months if not a year. Now it is here and like I said... it basically is the same app just better designed. Very disappointing. Will not be buying more sensors until they fix this. One last thing... same thing is true with Hue Tap and Hue Dimmers. Both only let you pick rooms, not individual lights. Dimmer only has 4 customization areas when there are 5 in HomeKit. It’s like Hue forgot all about their accessories. C’mon... I wasted $250 on 5 Sensors, $100 on 2 taps, and $200 on 5 Dimmers and all of them you can’t do what you claimed you could when I got them. Hi there! 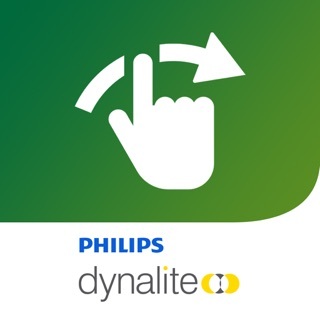 Philips Hue App 3.0 is a first step in addressing feedback that our candid users shared with us. Keep sharing your ideas and we’ll keep working on new functionalities, so you can enjoy the best lighting experience. Other features will be announced during 2018 but for the moment we cannot disclose any details. Right now, the best option would be to create a separate room for your cabinet lighting , and then link that room to the motion sensor.